In my book, Keeper Of My Heart, my heroine, Katie McCullough, has a special bond with an elderly man whom she “adopted” at age ten as her ‘stand-in’ grandfather. One of the things I love about Katie is her devotion to this wonderful man. As a child growing up in New Orleans, I knew a kind elderly lady named, Mrs. Bulleman. I called her Mrs. B. She lived across the street from us and for the most part was house bound. My mother, an avid gardener, had a cutting garden in the front of our little house on Wilton Drive, and once a week during the summer she’d cut a bouquet of flowers for her. I had the privilege of bringing the flowers over to her house. As a little girl, this was a highlight for me because I was allowed to cross the street ‘all by myself’. I felt very grown up and knew I was doing something grand when I handed over the lush bouquet to this lovely lady. I can still see the joy on her face as she took the flowers from me. Most of the time she’d invite me in for a cold lemon aid and a piece of chocolate. I remember sitting in her semi dark parlor leaning over the coffee table hoping I’d pick a piece with a nut inside. One Christmas when I was about nine or ten, I was in Sears shopping for presents with my mother. Armed with fifty cents I went through the store looking for something I could buy for my only living grandmother and for Mrs. B. I had adopted her as my ‘in town’ grandmother so no way could I leave her out. A sales lady suggested I buy each of them a butter knife. They were only twenty cents each. So I did. I crossed the street with flowers in hand and was met with the same joyful reception I remembered as a child. Mrs. B. kindly offered me something cool to drink. I looked back at my friends, motioned for them to wait, and stepped inside her parlor. Several years after Mrs. B died I was home planning my wedding when her daughter showed up at our back door. She smiled and handed me the little butter knife I’d given her mother all those years ago. A sweet flood of memories filled me as I recalled the day I bought her that knife. Her daughter shared with me how much my gift had meant to her mother and knew she would’ve wanted me to have it back. Today, that simple, inexpensive knife sits by my butter dish. We use it every day. For me it’s a precious reminder of Mrs. B’s gracious acceptance of a small child’s gift and of how a life is touched by thoughtful actions and the simplest things. Growing up, did you have an elderly neighbor that influenced you in a meaningful way? Or maybe, there’s someone right now in your life that holds a special place as a surrogate grandparent either to you or to your children? Is there a special object or gift that reminds you of this person? Katie McCullough doesn’t know it, but Max Sawyer, the over confident, irritatingly handsome hotel developer who outbid her for the lighthouse property, is none other, than her mystery lighthouse sailor. The one man who captured her heart five years earlier, the one man who has since been the plum line for every other unsuspecting male who has crossed her path. Unfortunately for Max, he doesn’t measure up either. Darcy was born into the rich culture of New Orleans, La. As a city filled with colorful historical intrigue and broad creative energy, her natural bent to the arts coupled with her love for one of the most romantic cities in the world has been the inspiration and anchor of her artistic multi-dimension endeavors. Darcy was always compelled by the need to express herself and like her mother’s famous gumbo, her previous expressions included a little bit of everything - art, music, acting and dance. Although, published in music, art and the Christian non-fiction market under another identity, it was the empty nest that turned Darcy to writing romantic fiction. 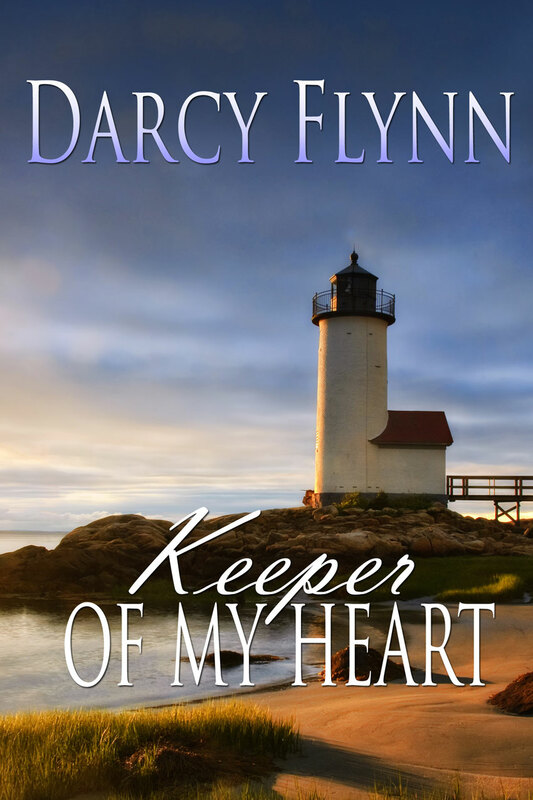 A lover of lighthouses, Darcy’s first novel, Keeper Of My Heart, unfolds in a small Maryland fishing village on the Chesapeake Bay. 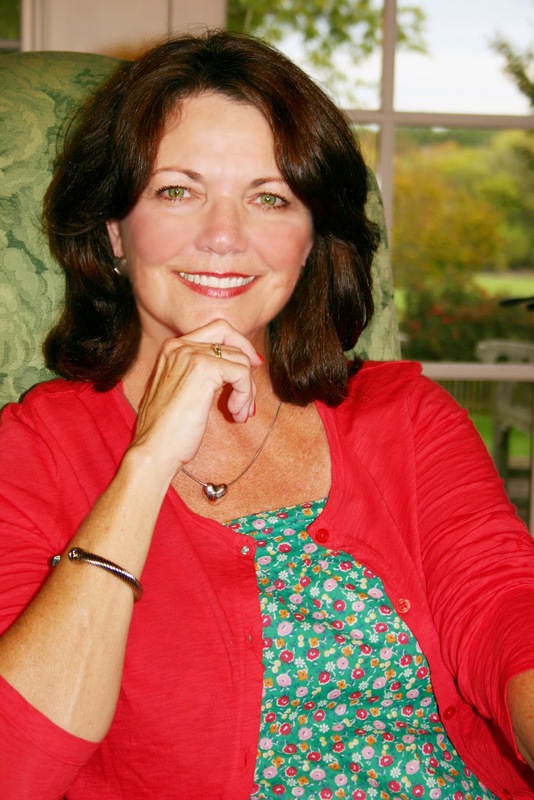 Darcy, a former Mrs. Tennessee, continues to be surrounded by all things creative in Music City and when not in writing in her London flat, lives on a beautiful horse farm in historic- Franklin, Tennessee with her husband, son, two English Setters and a calico cat. Darcy enjoys stargazing, raising rare breed chickens and gardening. I love your story about the older neighbor. What a lovely story and memory. Good luck with the book! I'm adding it to my 'to be read' list. Sound like a great read, and everyone could use a Mrs. B :) Best wishes in success! It is a lovely memory. she was a dear, a real treasure. 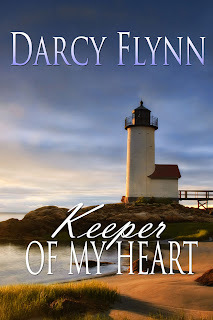 Keeper of my Heart is a sweet fun read! Hope you enjoy it! Thanks so much for stoping by today! Thank you so much! And yes I wish everyone had a Mrs. B in their lives! I love the sentiment you express in your post. I had a grandfather who I was lucky enough to spend the majority of my youth beside. He taught me to garden, to cook, to love animals, and to be satisfied with a smile and a bowl of ice cream--essentially everything I ever needed to know to be a happy woman. He would tell long stories, and while most of the family tuned out, I was rapt. There was always a moral implied. He's the reason I write. Thank you for your beautiful post and the memories it inspired. I'm going to eat ice cream and then I'll buy your book! Best of luck. Oh my gosh, Ann, when I read your comment I got goose bumps! Your memory with your grandfather has touched my heart. I love that he told you stories and influenced your writing. Thank you for sharing that! What a wonderful grandfather to have in your life. I want to thank Roxanne for having me today! Roxanne"s Realm is a terrific site! And a fantastic start to my blog tour! Thank you, C.J. Yours is a lovely story, too! I'm sure Tuesdays, were a highlight for "Grandma Nash" and for you and your sister, as well. I guess we have our mother's to thank for instilling in us the love and care for an elderly friend or neighbor. I'm sure every time you look at your pink poodle you think of Grandma Nash! I love that I have that little knife and especially the memory that goes with it.